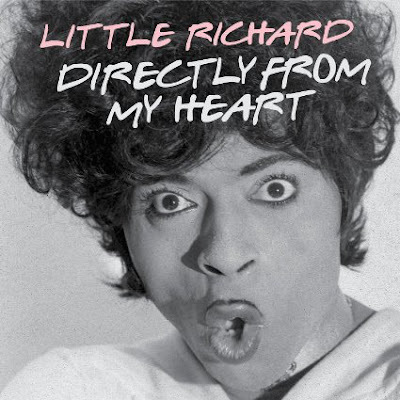 I just received the newest release, Directly From My Heart: The Best of the Specialty & Vee-Jay Years from Little Richard and it's a blast! This 3CD set features 64 tracks spanning the mid fifties through the mid 60's and a super 36 page book with a ton of great photos and notes by Billy Vera. Most people only think of Tutti Frutti or Long Tall Sally when they think of Little Richard but this deluxe release shows so much more. These three CD's are packed with soul, blues, R&B and rock and roll tracks that will open your eyes. With great backing vocals and some hot sax work as well this is a super release. Of course he does Tutti Frutti, Kansas City, Slippin and Slidin, Long Tall Sally, I Got It, Ready Teddy, Rip It Up, Lucille, Jenny Jenny, Good Golly Miss Molly, The Girl Can't Help It, Keep A Knockin, Whole Lotta Shakin and Lawdy Miss Clawdy but a number of lesser known tracks like Goin Home Tomorrow, a hot remake of Blueberry Hill, a seductive Cherry Red and super bluesy I Don't Know What You've Got But It's Got Me featuring Jimi Hendrix on guitar (to name a few). This is a really strong R&B/soul set with a broad sprinkle of early rock and roll. I really like it and think many of you will be surprised at how strong it really is.